The town Dolný Kubín is a centre of Orava region, the northest region of Slovakia (486 m). Archaeological finds suggest the existence of old settlement of the contemporary urban territory and its immidiate environs. Numerous finds are of the young Bronze age, at the time of the cemetery urns of the people belonging to Lusation culture. The name Kubin (Kolbin) appears for the first time in a document dating back to 1325. In year 1632 Dolný Kubín was promoted to a town. 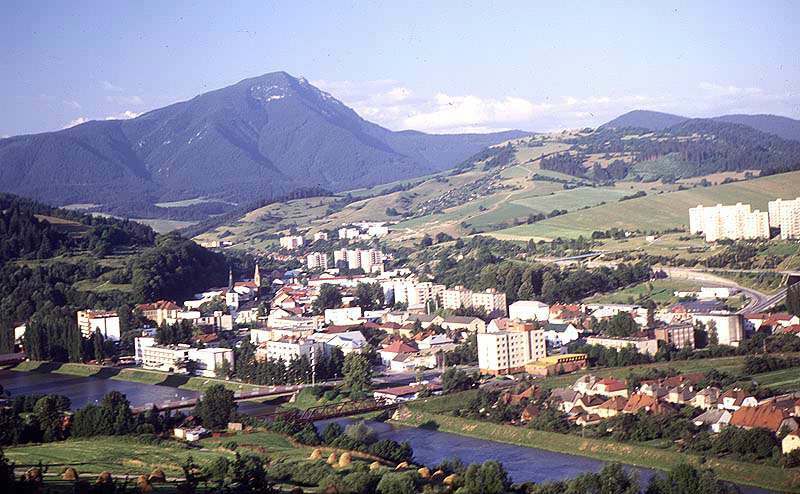 Since 1683 the town was the seat of the Orava county. Numerous personalities of Slovak culture and enlightenment were active here: Vavrinec Čaplovič (1778-1853) founder of the library, Pavol Országh Hviezdoslav (1849-1921) the most important of all Slovak poets, Janko Matúška (1821-1877) poet and writer whose poem "Nad Tatrou sa blýska, hromy divo bijú" ("Lightnings and Thunders over the Tatras" became the Slovak national anthem and others). The oldest cultural and historical monument here is the Roman-Catholic church of St. Katarína with a gothic wall and tower from the 14th century. The dominant building of the P.O.Hviezdoslav square is Župný dom (The county house) of the last third of the 17th century. Further, you can see here Museum of Hviezdoslav, House of Hviezdoslav, Orava castle 10 km from Dolný Kubín. And admired object of the contemporary Dolný Kubín is the wooden column bridge over the river Orava. Dolný Kubín is an ideal starting point for the tourist´s trips to the mountains Oravská Magura, Chočské vrchy, Západné Tatray (Western Tatras), Malá Fatra. There are good conditions for winter sports (skiing, cross country skiing) in Dolný Kubín (Kuzminovo) and surroundings (Kubinská hoľa).